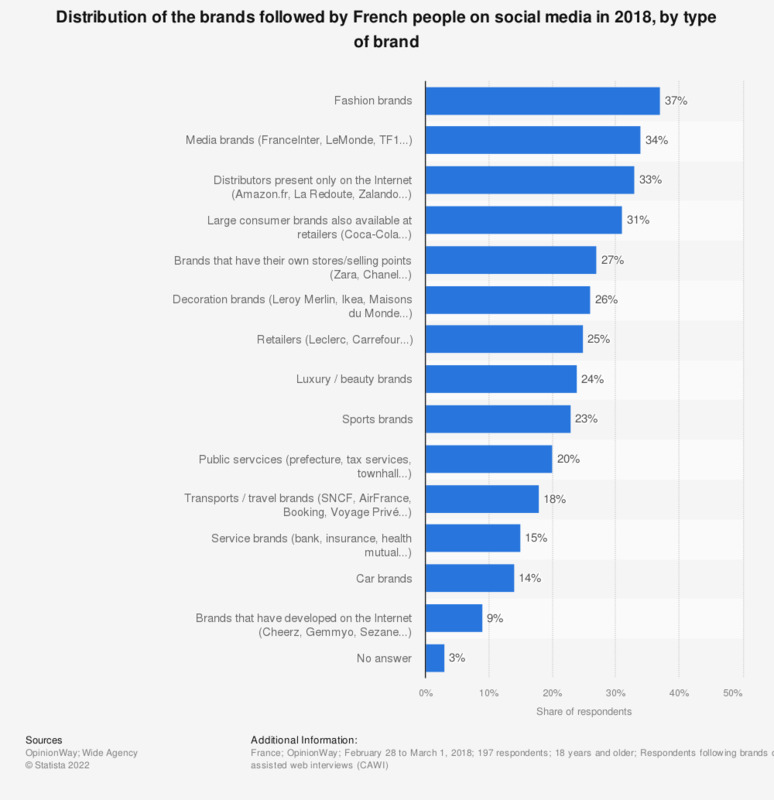 This statistic displays the distribution of the brands followed by French people on social media in 2018, by type of brand. It shows that among respondents having stated they were following brands on social media, 37 percent followed fashion brands, while 34 percent were following media brands on social networks. This question was phrased by the source as follows: "Quels types de marques suivez-vous sur les réseaux sociaux?"